Vancouver, BC – August 25, 2011. The British Columbia Real Estate Association (BCREA) released its 2011 Third Quarter Housing Forecast Update today. 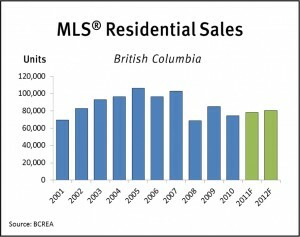 BC Multiple Listing Service® (MLS®) residential sales are forecast to increase 3.8 per cent from 74,640 units in 2010 to 77,500 units this year, increasing a further 3.6 per cent to 80,300 units in 2012. “Following a decade where unit sales broke all records, consumer demand over the next few years will be relatively moderate,” added Muir. 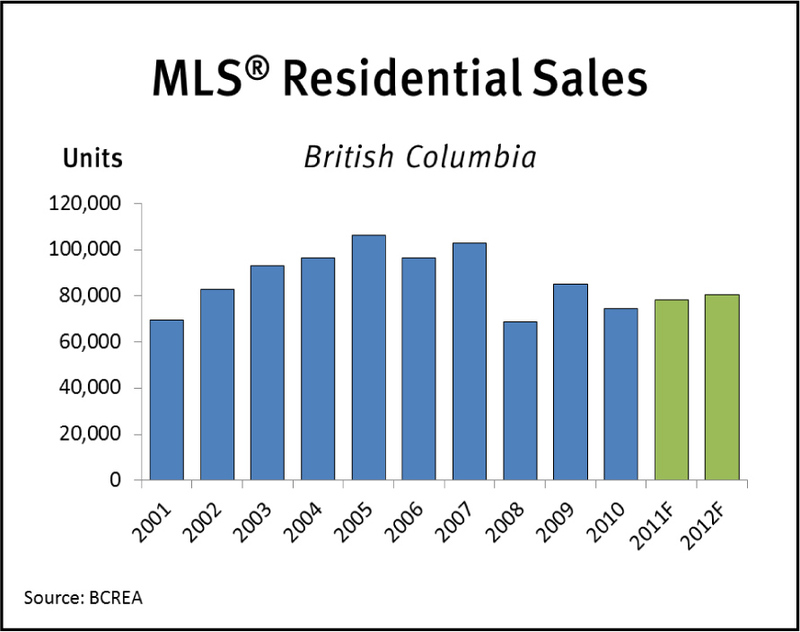 The ten-year BC MLS® residential sales average is 87,600 units. A record 106,300 MLS® residential sales were recorded in 2005.